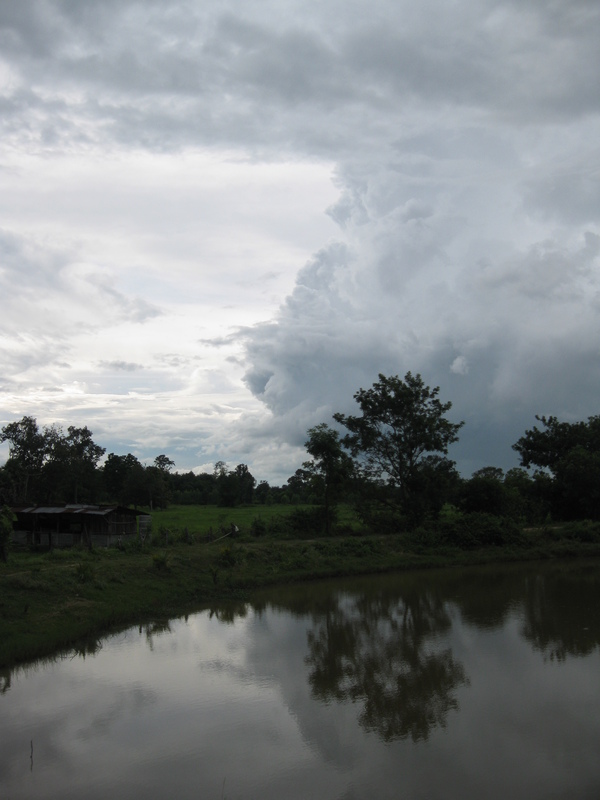 The rainy season is winding down in Northeast Thailand and I will miss it. Flooding was not a problem in my part of the country – unlike Bangkok – and I love a good storm. The cloud formations during the rainy season (July through November) are incredible. They seem different to me from Minnesota and Wisconsin, but this may be because I was always surrounded by trees in the Midwest and couldn’t see them like I can here. The part of the rainy season I did not like was the tease of storms. For a two-month period, a day did not go by when I did not at least hear thunder and see lightning. This did not mean the storm would hit my village, unfortunately. With the sun going down I’d hear thunder and look in the distance to see lightning flashing inside a huge cloud (my 8th grade meteorology unit vocabulary escapes me.) I’d hope for the storm to hit, but it wouldn’t. Threatening thunderstorms that don’t arrive are like a woman who you talk to all night at a bar and not until she’s leaving does she tell you she has a boyfriend. Another fantastic difference between thunderstorms here and in the Midwest is there’s no threat of tornadoes. I can stand on my covered porch during a storm and not worry about having to get into the basement I don’t have. The rain would, however, become quite heavy and it was accentuated by my tin roof. Ever stand in your garage during a storm? The volume of rainfall is the same in my living room. There is a ceiling between me and my roof, but there’s no use for insulation, so making a phone call or listening to music becomes impossible. The Thais say they have three seasons: hot, rainy and dry. I like to call them hot, wet-hot and not-as-hot. I’m entering the not-as-hot season. I’ve been told this year’s hot season wasn’t that hot, so I have that to look forward to in April. I don’t want a lot of it, but I do want to experience a day or two of extreme Thailand heat. I trained for it. When I took a road trip to Washington D.C. during the summer of 2010 I purposely did not use my air conditioning while driving through Louisville with the temperature hitting 100 for two-straight days. As of now, that’s was hotter than Thailand. I have a feeling Thailand won’t let me down next year. 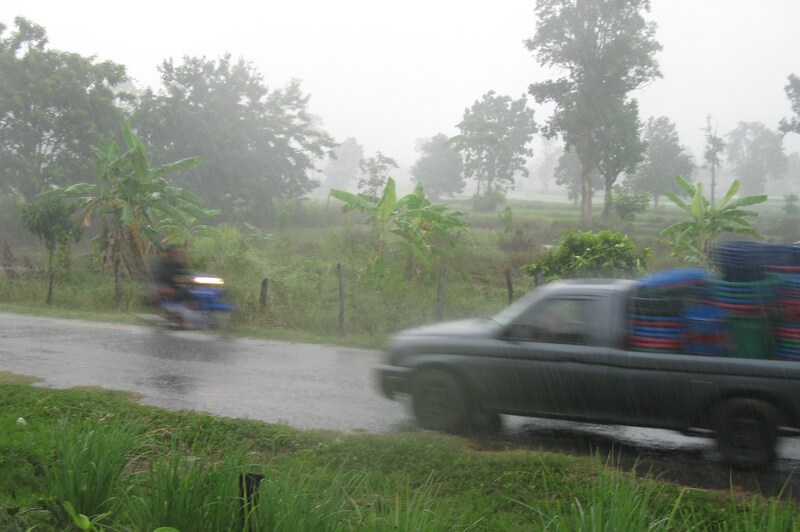 This entry was posted in Peace Corps and tagged peace corps, thailand, weather by Jeff Jackson. Bookmark the permalink. No threat of tornadoes, you said. But what of tomatoes?